Since 1992, there have been more than 190 papers published in peer-reviewed medical journals demonstrating EECP® Therapy as a non-invasive, safe, low-cost and highly effective treatment for patients with coronary artery disease. There are 8 randomized controlled trials (RCT) documenting the clinical outcomes and mechanisms of action of EECP® Therapy. 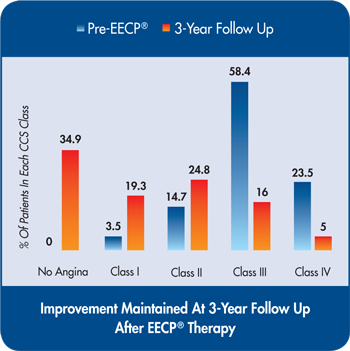 The most well-known RCTs were the Multicenter Study of EECP® (MUST-EECP) in the treatment of patients with angina pectoris and Prospective Evaluation of EECP® in Congestive Heart Failure (PEECH™) study. There is also a subgroup study analyzing data from the PEECH™ trial for heart failure patients age 65 or older. 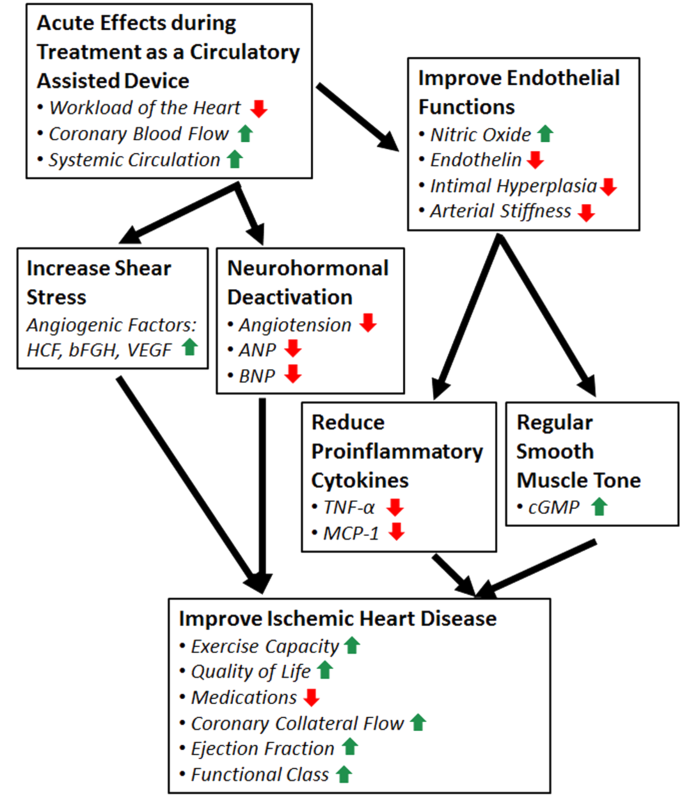 There is also evidence that EECP® Therapy triggers a neurohormonal response that induces the production of growth and vasodilatation factors, which together with the increased pressure gradient created across the occlusive site during EECP® Therapy, promotes recruitment of new arteries, while dilating and normalizing the function of existing blood vessels. The collaterals bypass stenoses and increase blood flow to ischemic areas of the heart, leading to improved clinical outcomes.